Liverpool are showing everyone why they are capable of defeating any team in the country at this point in time. They are amassing the points against every of their opponents especially at home. The Reds were too clinical against their latest opposition, West Ham as they dispatched them 4-1 at Anfield. This means that they have not lost a game at home this season in the league. It was a great opportunity for Liverpool as both Manchester United and Chelsea face up on Sunday which means at least one will drop point which is a good news for Liverpool. 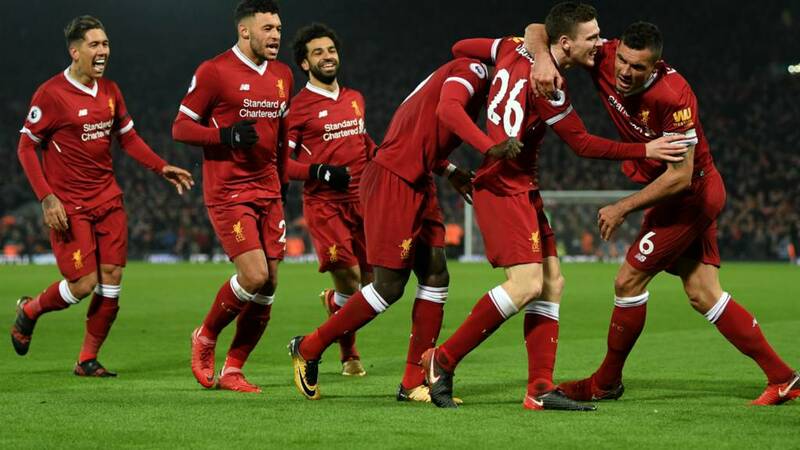 The first half ended in 1-0 and West Ham will have been hopeful of a possible come back in the second half but Salah quenched any hope of that as he added Liverpool’s second in the 51st minute and Firmino made it 3-0 in no time. Salah’s goal in the day was his 25th goal in the last 25 appearance for Liverpool and his 20th using his left foot, the highest by anyone in a single Premier League season. Michail Antonio scored after coming on to get the Hammers a consolation but Liverpool still had a goal in them as Mane made it 4-1 in the 77th minute. Liverpool now move second on the log until United play Chelsea while David Moyes’ side are now just three points off the relegation zone.